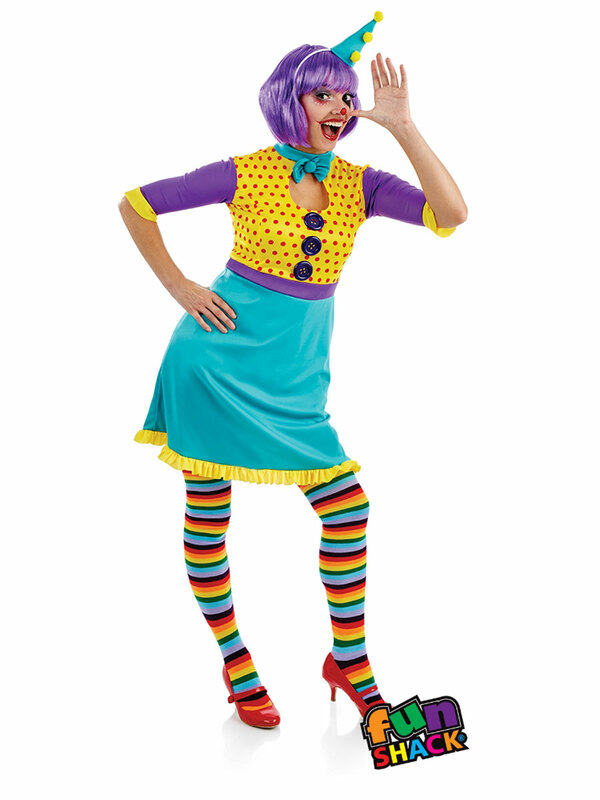 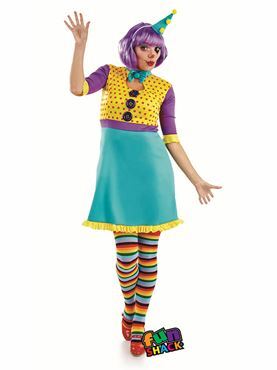 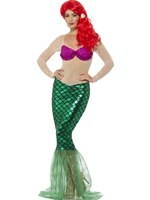 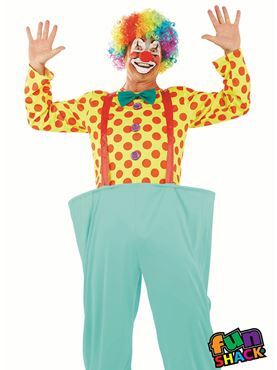 Join the Carnival in our Clown Girl Costume. 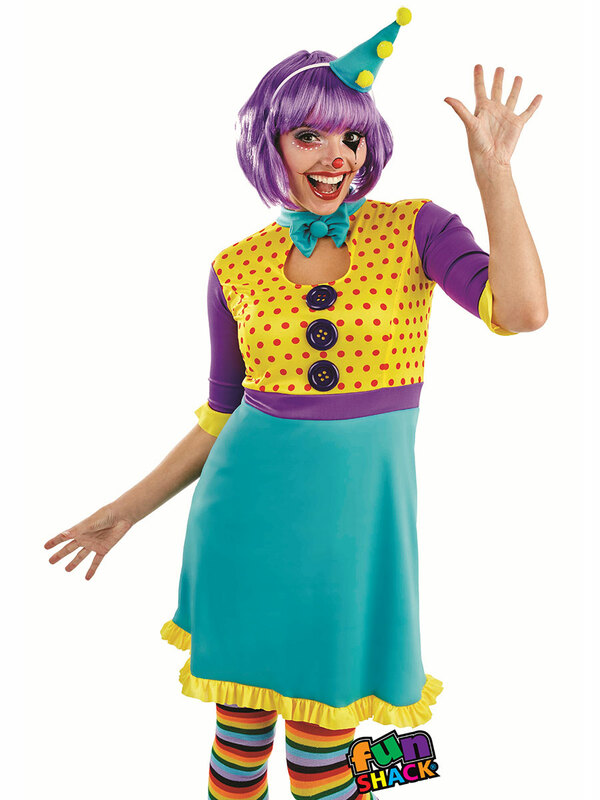 Our Costume includes the Multicoloured Dress with Polka dot print top, key hole neckline and attached Bow Tie. 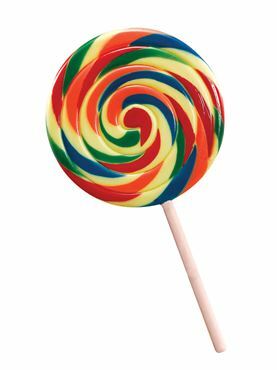 No Clown costume would be complete without the Rainbow Striped Socks and mini blue Clown Hat decorated with pom poms attached to an elasticated headband. 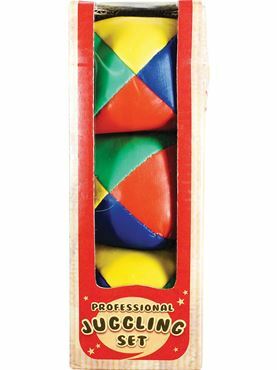 Small 8 - 10 34" - 36" 24" - 26" 33"
Medium 12 - 14 38" - 40 28" - 30" 35"
Large 16 - 18 40" - 42" 30" - 32" 36"